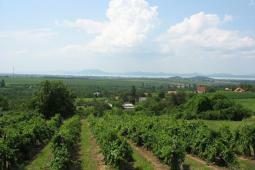 BALATON WINE REGION ♦ The neat, romantic hotel will definitely enchant you. The rustic buildings are surrounded by shady trees, and bushes. Besides splendid flowers, there are fruit trees, vegetables and herbs in the garden. The facility also has an outdoor swimming pool. The staff is extraordinary. The stylish cuisine, the wide selection of local wines and the amazing breakfasts are unforgettable. The chef's philosophy is to introduce the Kali basin to guests, through its flavours. They use only local ingredients by the seasons. They purchase what they need from the local farmers: meat goods, dairy products, honey, bakery goods and of course the wines. Imagine sitting in the garden, gazing at the stars and enjoying the most characteristic wines of the local winemakers. The hotel is a member of the “Stylish Country Hotels”, and has received numerous national and international recognitions. One of them is the Sunday Times award in 2010, when Kali Art Inn was voted in the 100 best hotels in Europe. 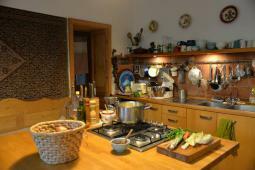 They also received the recommended property status by TripAdvisor in 2013. The hotel is also a good base for exploring the neighbourhood; there are several hiking trails to follow either by foot or by bike.